…In his refreshing account of French colonialism and its impact on the societies of modern France and north Africa, Andrew Hussey contends that French identity, and even the French state itself, are under assault from embittered, often radicalised elements in its Muslim population. Many reject the values intrinsic to France since the 1789 revolution. Hussey describes a France “whose identity as the world capital of liberty, equality and fraternity is at every step challenged and confronted by antagonisms with its cultural opposite – the secular Republic against the politics of its dispossessed colonial subjects”. With Muslims from north Africa, the Middle East and sub-Saharan Africa making up more than 5m of metropolitan France’s 63m people, the nation has Europe’s largest Muslim population. In the banlieues, or suburbs, of the French capital, Muslim communities trapped in desolate, crime-ridden housing estates are growing so fast that they will soon outnumber the 2m inhabitants of central Paris. The banlieues of Lyon, Marseille, Strasbourg and Toulouse are little different. But in Hussey’s view, the deeper threat is not economic distress but cultural exclusion. The banlieues are like prisons impenetrable to French civilisation. Behind the invisible walls that separate them from France’s elegant cities, many Muslims – whether full-fledged or aspiring French citizens – are cut off from the humanist values and material progress for which modern France stands. Like Catholics in the first 40 years of the Third Republic, the Muslims hear from France’s politicians and educators that they must be citizens of France first and practitioners of religion second. But this is unhelpful advice if, in reality, many Muslims are at best second-class citizens and see themselves as “the angry and dispossessed heirs to the French colonial project”. As befits a writer who studied at Jean Moulin-Lyon 3 university, Hussey is particularly interesting on rightwing Catholicism and racial tensions in Lyon, France’s second city, whose banlieues experienced riots in 1981 around the same time as London and Liverpool. Hussey ends his book with a sketch of France’s prison system, in which he suggests about seven in 10 inmates are Muslim – an estimate that speaks eloquently to the failures of postcolonial integration. Are French jails, the author asks, serving inadvertently as “the engine room of Islamic radicalism in France”? It is a troubling question, but many readers will feel Hussey leaves himself too little space to give an adequate answer. 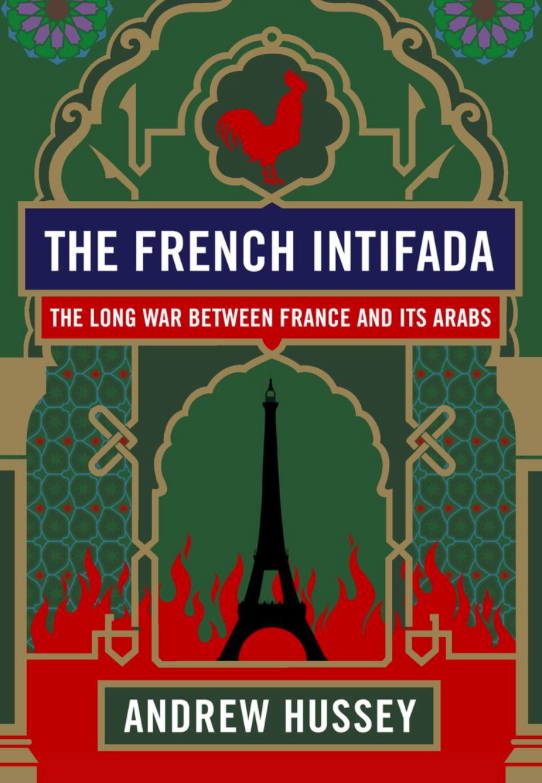 Taken as a whole, though, The French Intifada is a good introduction to the most sensitive issues of race, religion, citizenship and history that grip modern France.